Journey from "MS Dhoni" to "Captain Cool"
MS Dhoni captained the Indian team in limited-overs formats and in Test cricket. 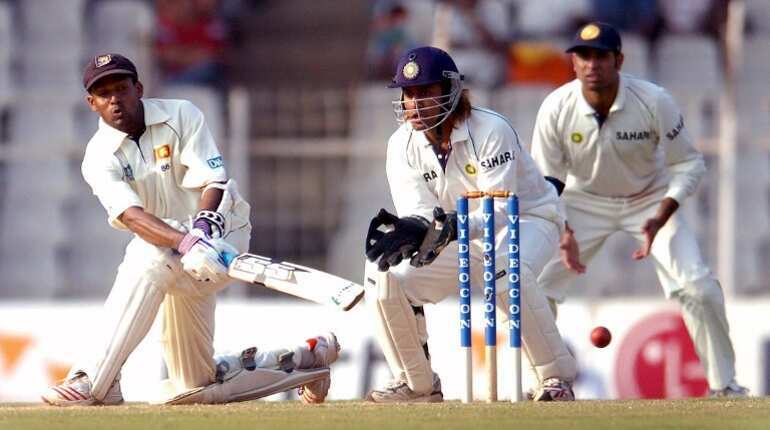 His arrival in Indian cricket and his subsequent rise has been a story of unprecedented success, punctuated by the occasional blip. Dhoni's arrival ended India's long search for a wicket-keeper who could also bat, and he now has the most number of dismissals in ODIs and Tests by an Indian keeper. In photo: Denesh Ramdin (L) and Mahendra Singh Dhoni at Antigua Recreation Ground in St John's, Antigua 05 June 2006. Dhoni announced himself on the international stage with an array of almost agricultural shots and a bat that he wielded like an axe. 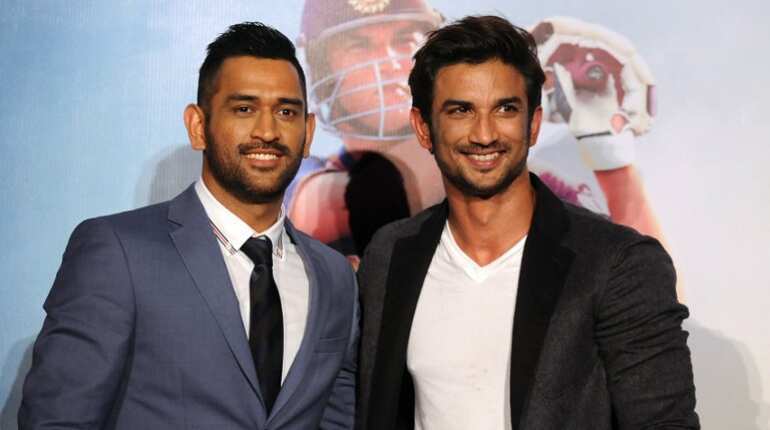 Dhoni's growing stature and cool-headedness led to his appointment as India's captain for the inaugural T20 WC, where Dhoni's calm leadership steered India to victory and got him the title of "Captain cool". After winning the inaugural T20 WC, Dhoni became the ODI captain after Rahul Dravid relinquished the post, and eventually, ascended to the full-time Test captaincy once Anil Kumble retired. In photo: Indian cricketers pose for a team photo prior to their departure for the ICC World Cup 2007 to West Indies, in Mumbai 28 February 2007. Dhoni holds numerous captaincy records such as most wins by an Indian captain in Tests and ODIs, and most back-to-back wins by an Indian captain in ODIs. 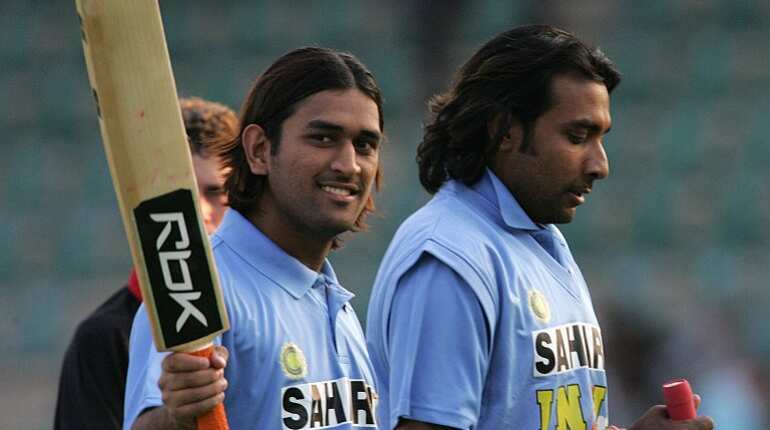 In photo: MS Dhoni (L) and Jai P Yadav (R) walk off the pitch after India won the match on 04 September 2005, in Harare. Under his captaincy, India won the 2007 ICC World Twenty20, the CB Series of 2007?08, the 2010 Asia Cup, the 2011 ICC Cricket World Cup and the 2013 ICC Champions Trophy. He became the first captain to win all three ICC limited-overs trophies. Leadership saw Dhoni change his batting style, as he made a shift from being explosive to being more reliable. With an ODI average that has crossed 50 and a strike-rate that remains in the high 80s, the shift has worked for Dhoni. 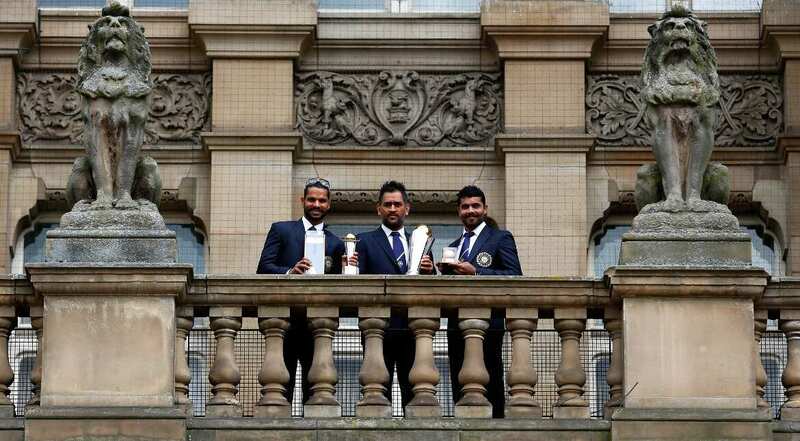 Although Dhoni's fierce captaincy helped India achieve success and grab the top spot in Test cricket, eight back-to-back Test losses against England and Australia overseas put his image as a Test batsman and captain in question. In 2013, under his captaincy, India became the first team in more than 40 years to whitewash Australia in a Test series. In the Indian Premier League, he captained the Chennai Super Kings to victory along with wins in Champions League Twenty20. 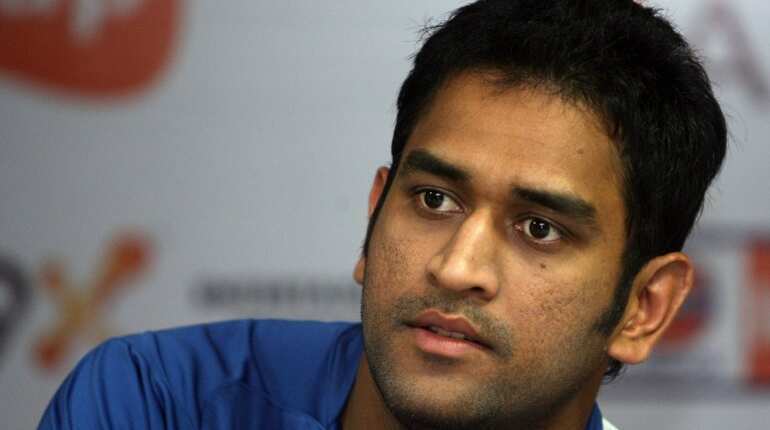 Dhoni has been the recipient of many awards, including the ICC ODI Player of the Year award in 2008 and 2009 the Rajiv Gandhi Khel Ratna award in 2007 and the Padma Shri, India's fourth-highest civilian honour, in 2009. 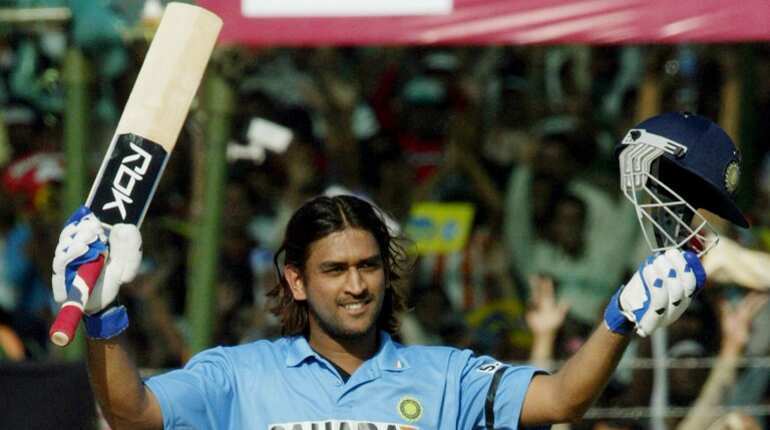 In photo: Mahendra Singh Dhoni waves his bat and helmet after he scored a century in Jaipur 31 October 2005. The Indian Territorial Army conferred the honorary rank of Lieutenant Colonel to Dhoni on 1 November 2011. Time magazine included him in its annual Time 100 list as one of the "Most Influential People in the World." 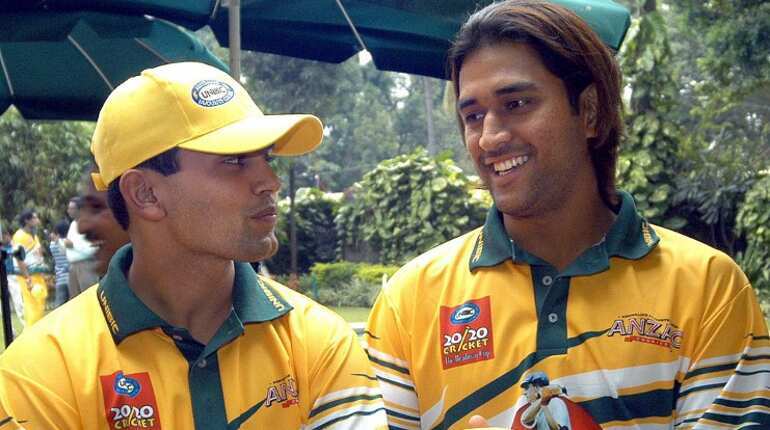 In photo: World Eleven 20/20 cricket team, Kamran Akmal (L) M S Dhoni on the eve of the Bradman 20/20 cricket tournament in Bangalore, 18 August 2005. In 2012, SportsPro rated Dhoni as the 16th most marketable athlete in the world. In June 2015, Forbes ranked him at 23rd in the list of highest paid athletes in the world. And, in 2016, a biopic M.S. Dhoni: The Untold Story was made on him. While Dhoni's keeping record was very good, his Test captaincy came under severe criticism, especially after India's continuous losses overseas. In 2014, he announced his retirement from Test cricket. On 4th January 2017, Dhoni stepped down as the captain of the Indian ODI and T20I team.